** The new budget review system uses windows authentication to login. When you are prompted to login, use your email username (the first part of your OWU email address) and email password. 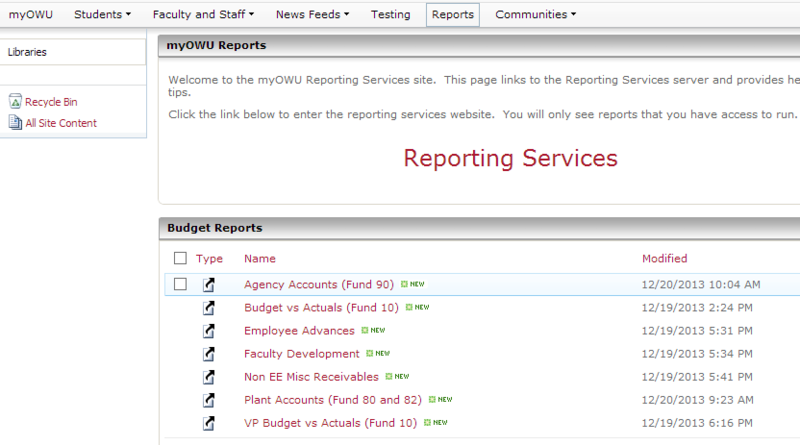 In the middle of the screen, you’ll see a section called “Budget Reports”. It contains folders for the current fiscal year and two previous fiscal years. Click on the appropriate folder and then click on the report you wish to view. If you need to change to a different account, click on “Reporting Tree” on the bottom left. 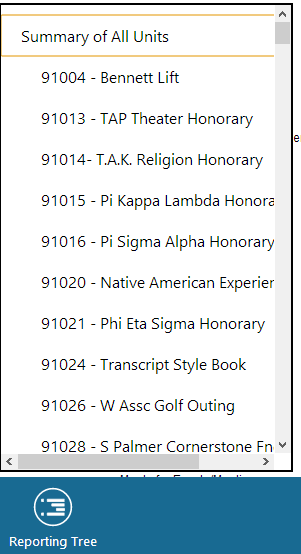 Accounts that you have permission to view are in black, and the rest will be in gray. 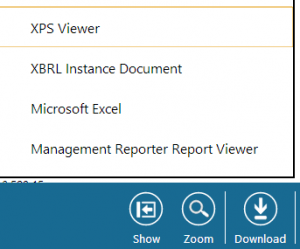 If you wish to download a copy of the report, click on the “Download” icon and select the appropriate filetype (excel for most users). If you wish to print, select print from your browser. In most cases, this is done by pressing Control-P or Command-P. You may also be able to simply right click and select print, otherwise you will need to use a menu option. If you are unsure, you can search google for instructions on how to print from your particular browser, or call the help desk. The header is hidden by default. If you would like to have this appear, click on “Show” and then “Header and Footer”. This is helpful if you need to show the time period the report covers or the specific account number.